The Babishai Niwe inaugural Poetry on The Mountain trip on June 11 2016, was one of the most rewarding experiences ever. Mt. Rwenzori is Eden’s original version, untainted with lust for life and envy, because there is such an abundance of awe and wonder. Why isn’t Rwenzori recognised as one of the world’s greatest wonders? 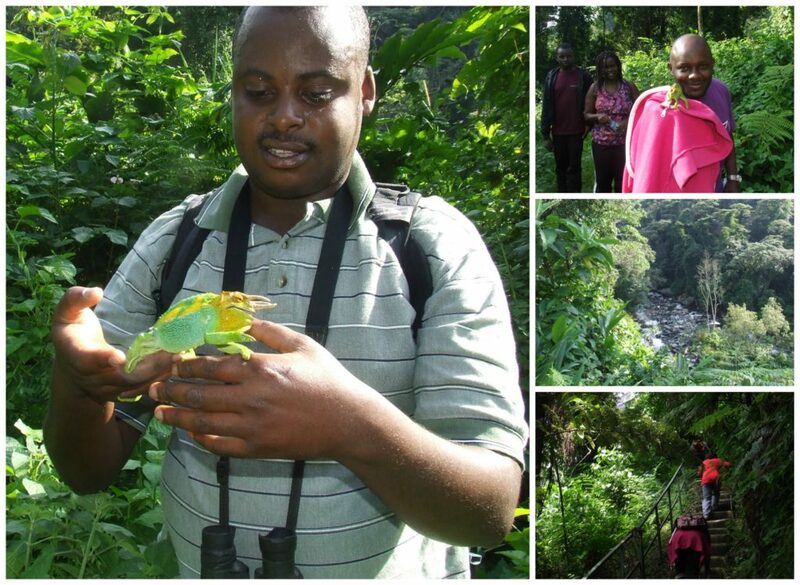 When the tour guide, Enock Owerangi, explains the different nature trails and the camps, it seems so effortless. He will tell you that you will reach the first camp, from where you will hold your poetry session. The truth is, Rwenzori is poetic enough and there’s no need to dramatise the experience. Starting at 1,400m high altitude, we begin this arduous expedition, full of curiosity, adrenaline and cameras. We are beset with foliage reaching so high that the sky-line seems submerged. With 217 bird species in the Rwenzori region, there are so many choruses and this natural orchestra is one of the most striking sounds to behold. Only one of us Jackie Asiimwe, has reached the peak at Margherita, and Enock of course, who reaches Margherita at least six times a year. (Show-off, kekekeke). His uncle, Bagheni Zadekia, is also the first Mukonzo to reach the peak. Real family legacy right there. Rwenzori, Africa’s largest block mountain and home to hundreds of animal and bird species, also has the transformative ability to make anyone gasp at the vastness of its awesomeness. There is a particular plant that is actually believed to eliminate labour pain. Every child-bearing woman deserves this. To be able to alleviate a pain more horrendous than suffocation, should be every woman’s right. River Mobuku gushes below us, the purest water, clear and sparkling. In our lives too, the more transparent people are, the more clarity there is. There is room for everyone and no need to try and eat off someone else’s plate. Why fight for sloppy seconds when there is enough in the universe for all of us? The Mobuku’s untameable spirit, liberated and strong, makes me want to follow it to where it stops and build my home there. Being encircled by nature is a privilege in a world, besot by drudgery and destruction. The three-horned chameleon, wide-eyed, elegant and endangered, is placed covertly on some tendrils, unrecognisable until the guide’s expert eyes, point it out. Its tail is coiled like a chocolate pinwheel but less tastier. None of us is able to ease the chameleon on our fingers as gently as Enock. For fear of killing the world’s only three-horned chameleon just out of sheer fright, we take our photos and move to the next place of admiration. We’re getting more exhausted as we ascend more precipitous staircases, cross wobbly bridges and are told stories of undomesticated elephants. Maybe that’s what the gun, which one of our guides carries, is for. It’s not comforting that the path is too narrow to hide from an elephant. There are about five hours to Lake Mahoma, which is our agreed place for the poetry. Being the democrats that we are, we vote against this incredulous extra five hours and opt for the first base at Masiga. The humidity, the gruelling climbs and the perspiration are an excruciating combination. There are forty-five minutes to go. Now, forty-five minutes on Mt. Rwenzori, means that you will climb over several boulders, slip on the mud and trek through undergrowth that is thicker than the size of our cabinet. While planning for Poetry On The Mountain, we romanticised about how we would have one spoken word after the other, while gazing at the snow-capped peak. This is what really happens. When you reach, you can barely stand and are so drained of energy that you wolf down every sugary biscuit in your sight, along with juice, fruit and almost, the inedible chameleons. The amount of calories burned is enviable for weight loss addicts but not the more adventurous poets. Since we set out for poetry on the mountain, brushing off our crumbs, we begin to recite, perform and share stories of the Rwenzoris. In one captivating story, we hear that if a chameleon is killed by a human in the human’s younger days, if this person gives their unborn child a name of a chameleon, that child will be protected. Lukonzo is one of the most musical forms for spoken word. Let’s call it Lukoflow. The language is rhythmic and entertaining. For our next trip, we’ll elect another gorgeous place in East Africa for a poetry excursion. Being surrounded by nature will teach us not to agitate destiny. 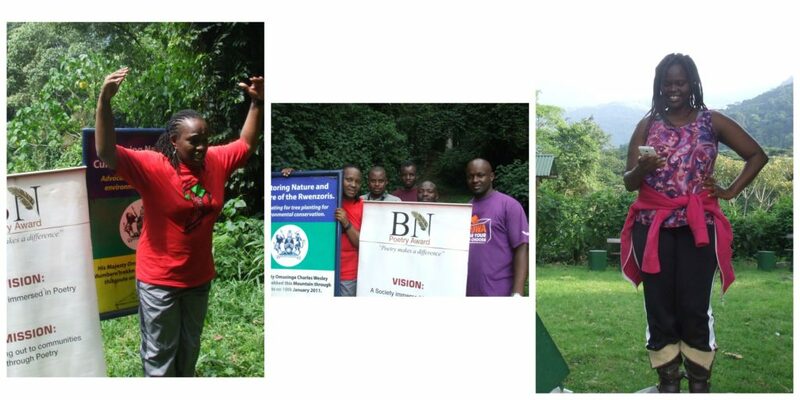 This Rwenzori trip proves that once destiny has paved its successful course, destiny will always win. 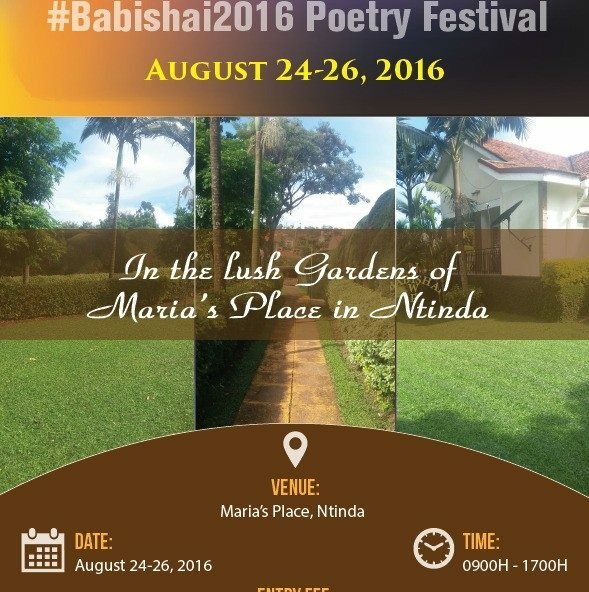 At our Babishai 2016 Poetry Festival, which takes place from 24-26 August in Ntinda at Maria’s Place, opposite Victory City Church, we’ll be launching our next poetry trip for 2017. You’re welcome. This article was submitted by Beverley Nambozo Nsenzinyunva. Congratulations BNPA on your inaugural Poetry On The Mountain and thank you for sharing this beautiful and enviable experience with us! We hope to join you on the next one.